You can find this on SASA, Bonjour HK, Colourmix. 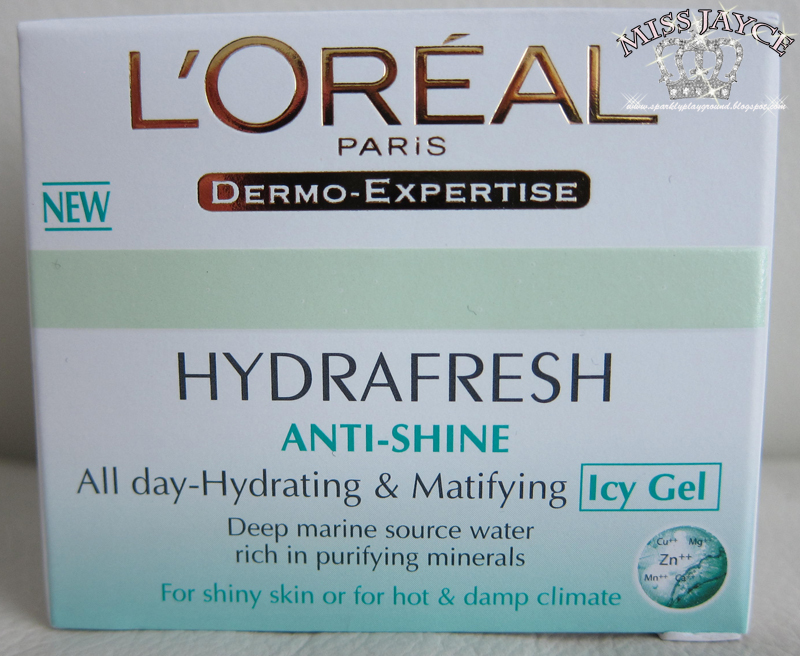 I have asked Loreal Canada, apparently, this item is not sold in North America. When I was in Hong Kong, my biggest problem encountered was the humidity climate change that my skin didn't get used to. My skin was still dry even in Hong Kong, maybe it was due to long flight times or staying in air conditioned atmospheres for long periods of time. 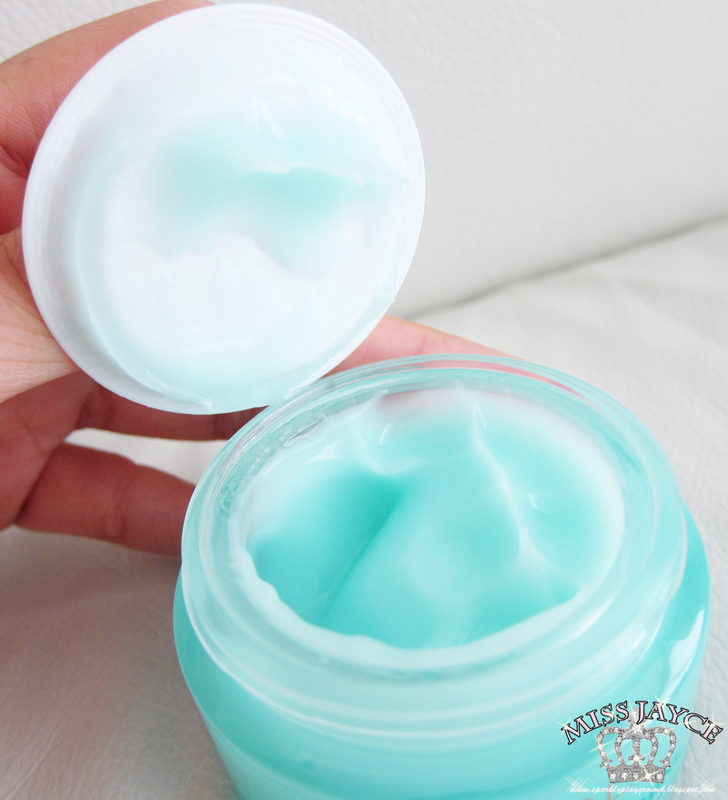 The dryness lead to oily skin, a natural reaction our skin does to combat the situation. My face usually becomes shiny and greasy looking by 3-4 hours and honestly it ruins my entire mood because all I want to do is go home and wash up. 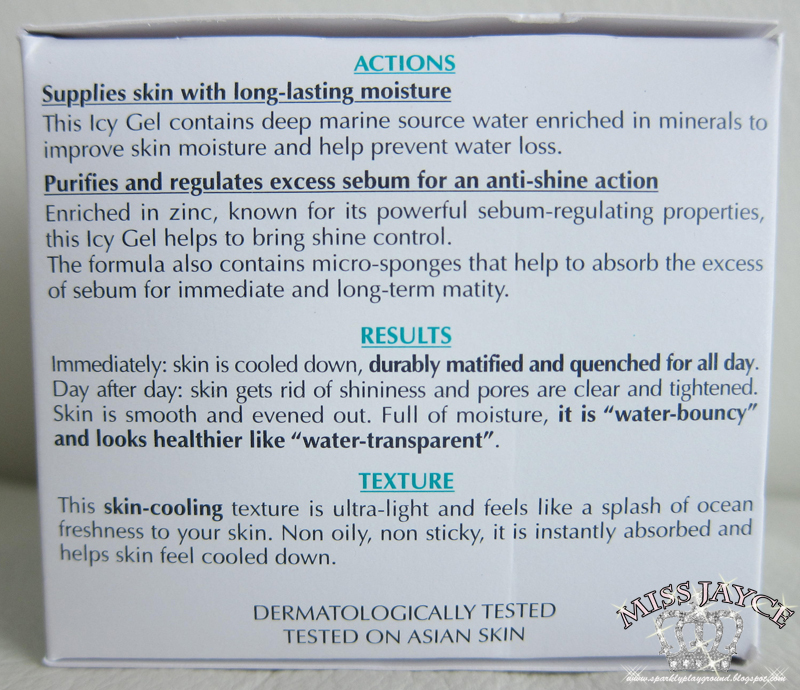 This product finally caught my eye and what's amazing is that, it specially saids it has been tested on Asian skin types and it's made for shiny skin or hot and damp climates. *Ding Ding Ding* Exactly what I needed. Believe it or not, I'm a little racist *gasp* when it comes to skincare brands. I tend to enjoy using products by Asian brands or items catered to Asian skin types. There are certainly formulation differences. Also, Asian brands or items catered to Asian skin types targets more specifically to our needs or demands such as Whitening, Anti-aging, Collagen, Amino Acids and Hyalouronic Acid. Okay, back to reviewing! The product comes in a glass jar and the gel is exactly the same colour as the jar. Gel-texture, not oily or sticky and you can easily smell the iciness. At first, I was a little disturbed by the scent because it reminds me of another item I use when I get fevers. Again, that's my very personal opinion, my boyfriend didn't find the scent annoying at all. 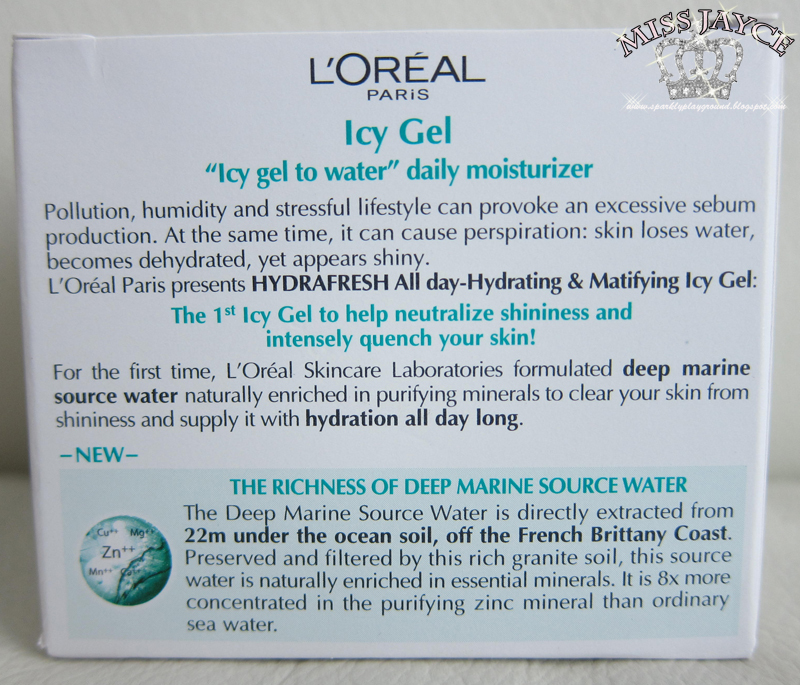 Once applied to skin, you can feel an icy cool feeling which is extremely refreshing. It's perfect for the weather it's intended for. I liked to apply it when I'm standing right under the air conditioner. Wow effect immediately. The gel gets absurd very quickly and I noticed a bit of the mattifying effect it claims but it does not take away your natural radiation. In terms of hydration, I think that I would give it a 7 of 10 because the matity it claims didn't last all day. My face became shiny again at about 8 hours which is not bad at all compared to my skin without it. Overall, I'm very pleased with this item. I think that it preformed well according to the claims except for one, which was mentioned above. 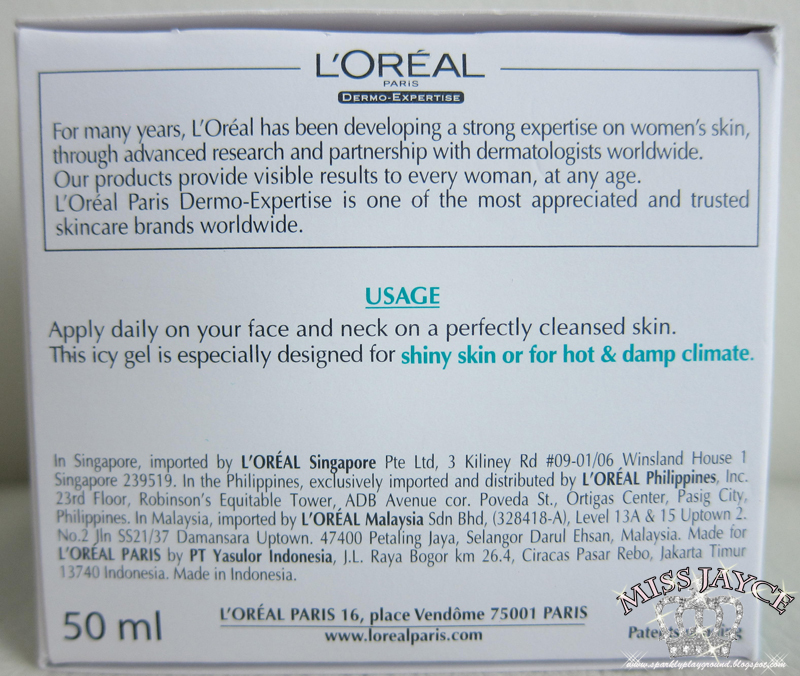 Also, I regained my confidence with L'Oreal skincare again because I was terribly disappointed with the Intense Serum reviewed previously. 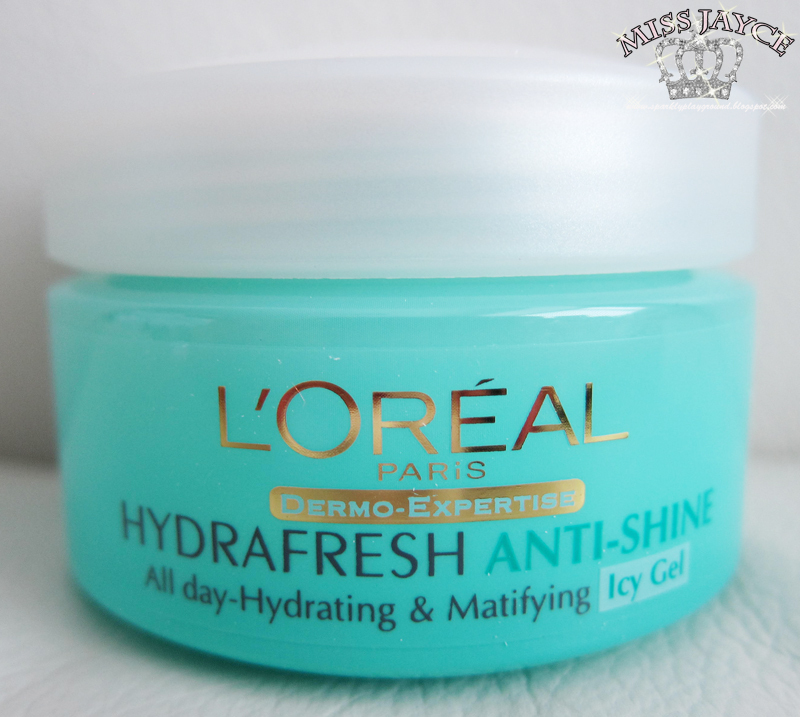 Anyone has any HG L'Oreal products to recommend? Price: 5/5 ♥ gotta love deals!